1936 Soloba – 2016 Bamako. 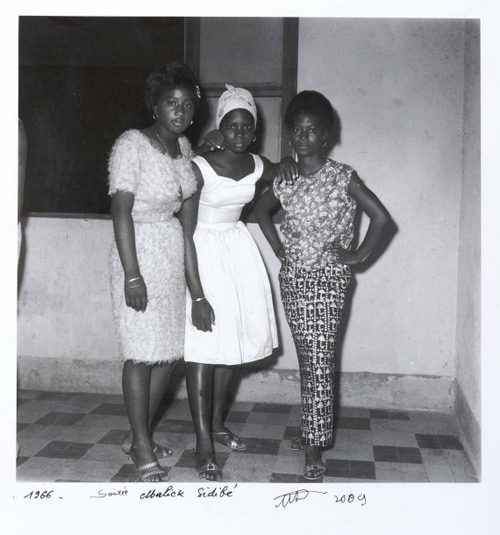 Malik Sidibe was a Malian photographer noted for his black-and-white studies of popular culture in the 1960s in Bamako. 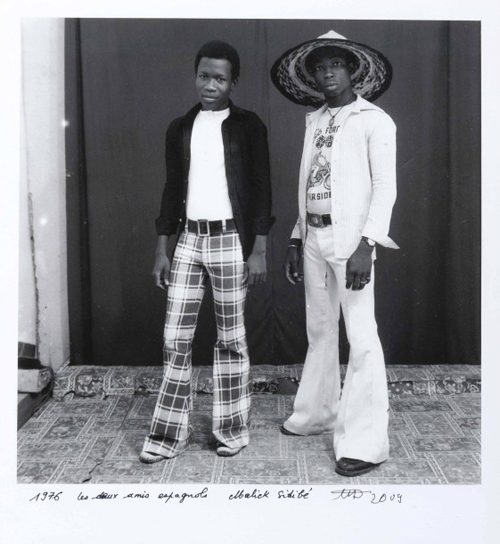 During his life, Sidibé gained an international reputation and was considered, along with Seydou Keïta, to be Mali’s most famous photographer. His work was the subject of a number of publications and exhibited throughout Europe and the United States. In 2007, he received a Golden Lion Award for Lifetime Achievement at Venice Biennale, becoming both the first photographer and the first African so recognized. Other awards he received included a Hasselblad Award for photography, an International Center of Photography Infinity Award for Lifetime Achievement, and a World Press Photo award. 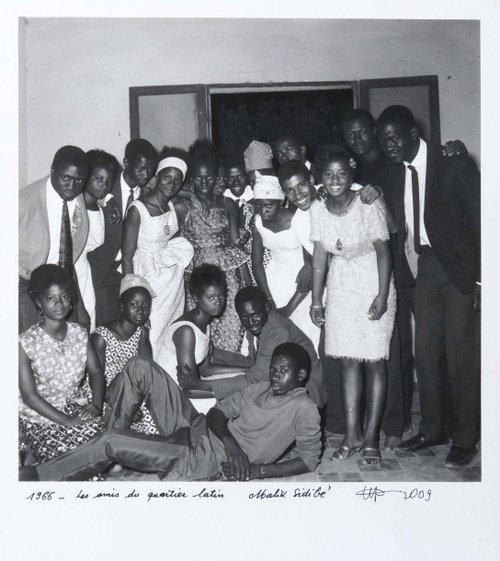 Sidibé’s work is held in the collections of The Contemporary African Art Collection (CAAC), the J. Paul Getty Museum in Los Angeles, and the Museum of Modern Art in New York. Malick Sidibé est né à Soloba dans une famille peule de paysans ; il fut d’abord berger, bouvier et cultivateur. Il fait des études de dessin et de bijoutier à l’école des artisans soudanais (devenu Institut National des Arts de Bamako) à Bamako. En 1955, il entre au studio « Photo service » de Gérard Guillat-Guignard avec qui il apprend la photographie. Il ouvre son propre studio en 1958. 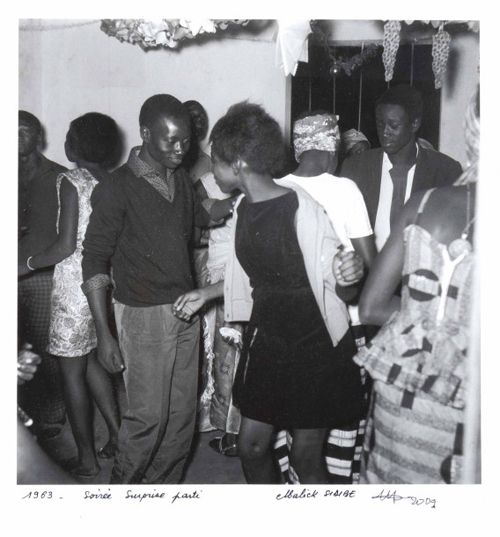 En 1962, il ouvre son studio à Bamako, dans le quartier Bagadadji où il restera toujours, et se spécialise d’abord dans la photographie de reportage, notamment dans les soirées de jeunes de la capitale malienne. Dans les années 1970, il se tourne davantage vers les portraits pleins de malice réalisés en studio. Les premières Rencontres africaines de la Photographie à Bamako en 1994 permettent à Malick Sidibé d’accroître sa réputation. Il expose alors dans des galeries en Europe (comme la Fondation Cartier à Paris), aux États-Unis et au Japon. Il meurt le 14 avril 2016 à Bamako des suites d’un cancer.